Harrisburg, PA: Gustavus S. Peters, 1828. Boards. Very Good. 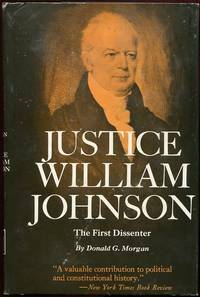 The uncommon 1828 1st edition of this pocket guide to addressing one's basic legal needs without incurring the expense of hiring an attorney (a timeless desire, no doubt as pressing today as in the early 19th century). A solid, well-preserved copy to boot of the fragile 64mo. Tight and VG in its dark-brown marbled boards, with a calf-backed spine. Pronounced foxing at the pastedowns and endsheets and, less so, to the preliminaries. Beyond this, though, no writing or markings of any kind. Strong binding and hinges, the text completely unrubbed and eminently readable. Scarce as such, in its original appreance. 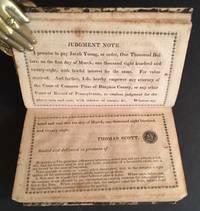 A nice example of early legal history -- and a nice piece of Americana. London: Stevens and Sons, Limited, 1907. Cloth. Near Fine. A very sharp copy of the 1907 1st edition. Tight and Near Fine in its blue cloth, with crisp gilt-titling along the spine. Internally very clean, with no writing or markings. Quarto, wonerful period ads for other legal texts by Francis Beaufort Palmer at the pastedowns and endsheets. London: Longmans, Green and Co, 1900. Cloth. Near Fine. A crisp, very solid copy of the 1900 1st edition. Tight and VG+ to Near Fine in its crimson cloth, with bright gilt-titling along the front panel and spine. Just a touch of light scratching at the rear panel, small former owner name to the front pastedown and tender --but still perfectly sturdy-- front inner hinge. Thick octavo, Vol. VIII in the wonderful "Harvard Historical Studies" series. New York: The Macmillan Co, 1927. Cloth. Near Fine. A tight, very sharp cpy of the 1927 1st edition. Solid and Near Fine in its dark-green cloth, with bright gilt-titling along the spine. A touch of negligible scuffing at the panels, otherwise very cean. Internally as well, with no writing or markingsof any kind. Octavo, 349 pgs. New York: (No publisher), 1875. Cloth. Very Good +. INSCRIBED ON THE FRONT PASTEDOWN BY DAVID A. MILLS, THE PRESIDING JUDGE IN THE CASE, WHO HERE WROTE "Summary of All the Proceedings in the Case of Phelps, Dodge & Co.", which closes out the text. A very solid copy to boot of the 1875 1st edition, in its original russet cloth. Tight and VG+, with bright, unflecked gilt-titling along the spine. Just a touch of bubbling at the front panel, very light spotting to the endsheets and pastedowns. Octavo, "An Abstract of So Much of the Proceedings and Investigations of the 43rd Congress (1st Session), in Relation to 'Moieties and Customs Revenue Laws', as Pertain to and Further Illustrate the Controversy Between the United States Government and the Firm of Phelps, Dodge & Co." (from the title page). Edinburgh and London: William Hodge & Company, 1927. Cloth. Near Fine/Very Good -. 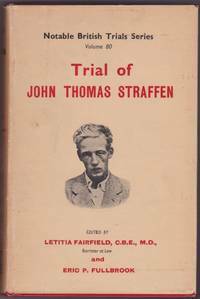 The 1927 1st edition, part of the wonderful "Notable British Trials" series. 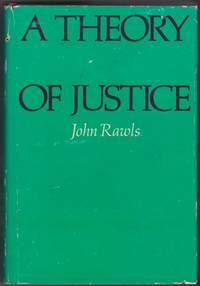 Tight and Near Fine in a bright, VG- dustjacket, with very light chipping along the panel edges and several closed tears along the front panel. Octavo, edited by Lewis Melville. Cambridge University Press, 1972. Cloth. Near Fine/Near Fine. A crisp, very solid copy of the 1972 1st edition. Tight and Near Fine (tiny name and date stamped at the top of the front pastedown) in a crisp, price-clipped, VG+ dustjacket, with just a touch of offsetting along the rear panel. Octavo, part of Cambridge's "Studies in International and Comparative Law" series. Cambridge University Press, 1960. Cloth. Near Fine/Near Fine. A very sharp copy of the 1960 1st edition. Solid and Near Fine (small, tasteful bookplate at the front pastedown) in a crisp, price-clipped, Near Fine dustjacket. Octavo, 464 pgs. Compiled and introduced by E.N. Williams. Chapel Hill, NC: The University of North Carolina Press, 1938. Cloth. Near Fine/Very Good -. A solid copy of the 1938 1st edition. Clean and Near Fine in a bright, price-intact, VG- dustjacket, with light spotting and soiling at the panels and light wear along the spine crown. Thick octavo, 308 pgs. Boston: Hudson Printing Company, 1914. Very Good +. A tight, well-preserved copy of the 1914 1st edition. Solid and VG+ in its navy-bue cloth, with bright gilt-lettering to the front panel. Just a touch of soiling to the fore-edge and light fading to the gilt-lettering along the spine. Internally, very clean, with no writing or markings of any kind. Thick octavo, 406 pgs. plus glossary. University of South Carolina Press, 1971. Cloth. Near Fine/Near Fine. 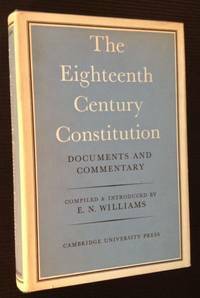 A handsome copy of the 1971 stated 2nd printing. Clean and Near Fine in a bright, price-intact, Near Fine dustjacket. Octavo, 326 pgs. The University of California Press, 1978. Cloth. Very Good +/Very Good +. 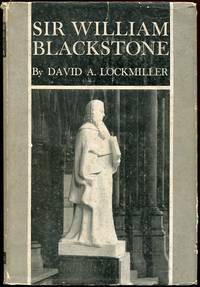 The 1978 1st edition. Clean and VG+ (with remainder mark at the top-edge) in a bright, VG+ to Near Fine dustjacket, with light creasing to the spine crown. Octavo, 589 pgs. New York: The Macmillan Company, 1932. Cloth. Very Good/Very Good. 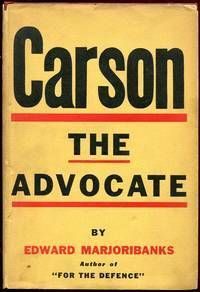 The 1932 1st American edition. Tight and VG (with offsetting along the higes and tasteful former owner bookplate at the front pastedown) in a bright, price-clipped, VG dustjacket, with mild clear tape at the rear panel's top-edge and mild darkening along the spine. Thick octavo, 455 pgs. Thomas H. Webb & Co: Boston, 1842. Cloth. Very Good. 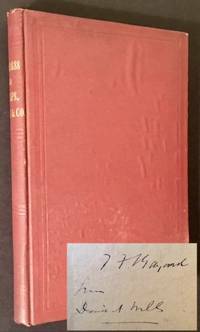 A solid copy of the 1842 1st edition. Tight and VG in its light-brown cloth, with decorative blindstamping at the panels and bright gilt-lettering to the spine. Light wear to the spine ends, very light fading along the panel edges, light soiling to the pastedowns and the preliminaries. Octavo, 311 pgs. New York: Columbia University Press, 1928. 1st. Cloth. Collectible; Very Good. THIS COPY BELONGED TO GEORGE E. WOODBINE, EARLY 20TH CENTURY PROFESSOR AT YALE LAW SCHOOL, who signed his name in pencil on the front free endpaper. A solid copy to boot of the 1928 1st edition. Tight and VG, with bright gilt-device and lettering to the front panel and spine. Light pencil underlining --and several check marks-- from Professor Woodbine along the text. Octavo, 175 pgs. New York: The Macmillan Co, 1947. 1st. Cloth. Collectible; Very Good/Good. 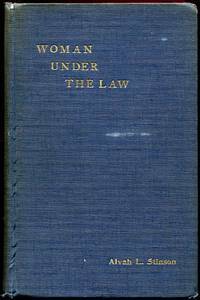 The 1947 stated 1st printing. Tight and VG in its russet cloth, with bright gilt-design and lettering to the front panel and spine. Small, neat former owner inscription at the front free endpaper, otherwise very clean. Octavo, 268 pgs. London: Willam Hodge and Co, 1954. 1st. Cloth. Collectible; Fine/Very Good. A solid copy of the 1954 1st edition. Clean and Near Fine in a bright, price-intact, VG+ dustjacket, with mild darkening along the spine and light offsetting at the rear panel. Octavo, several fold-out maps, #80 in the "Notable British Trials Series"
Harvard University Press, 1972. Cloth. Collectible; Very Good/Very Good. 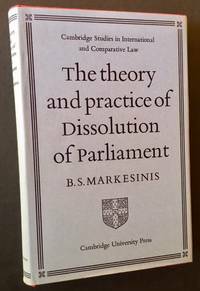 A crisp, very presentable copy of the 1972 stated 2nd printing of this landmark in personal, constitutional and legal philosophy. 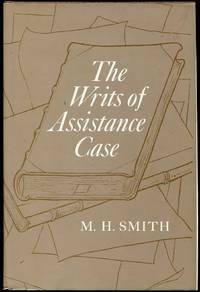 Tight and VG+ (with small former owner name, address and date to the front free endpaper) in a bright, price-clipped, VG dustjacket, with light rubbing along the spine and at the panels. Thick octavo, 607 pgs. 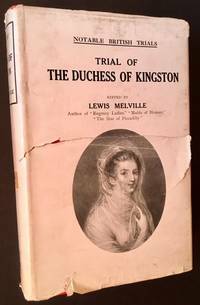 Very uncommon in its original hardback, the cloth edition having undoubtedly been printed in small numbers. New York State Police, 1992. Hardcover. Collectible; Very Good. First Thus. The 1992 re-issue, in 2 volumes, published under the auspices of the Trooper Foiundation--State of New York to commemorate the 75th anniversary of the New York State Police 1917-1992. Both of these histories of the New York State Police --published originally in 1922-- are here republished in facsimile and bound in a grey leatherette. Both are solid and VG, with light spotting at the panels. Small staining at the fore-edge of "The Policeman's Art....", otherwise clean as could be. Octavos, 580 pgs. all told. Also includes a sharp copy of the publisher's matching leatherette slipcase. London: Hurst and Blackett, Publishers, 1867. Full-Leather. Collectible; Fine. The 1867 "Second Edition, Revised", complete in 2 volumes. Beautifully bound in a contemporary-to-the-period full light-brown calf by Bartlett & Co. of Boston. Both volumes clean and Near Fine, with bright gilt-ruled panels and bright gilt-lettered spine labels. Octavos, 639 pgs. all told, lovely marbled endpapers, top-edges gilt.